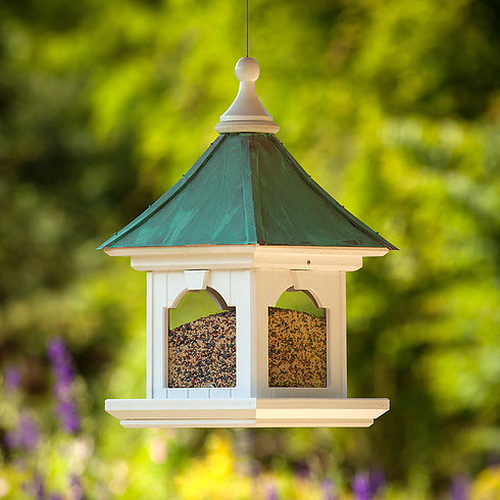 Beautiful bird feeders for your garden landscape! 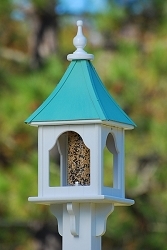 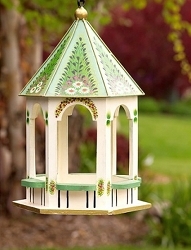 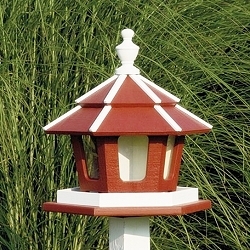 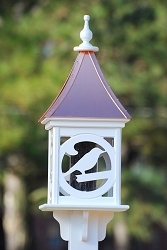 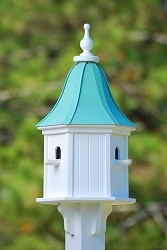 PatinaCopper Roof 12" Hanging Gazebo Bird Feeder - Measures 26" high x 12" wide, square shaped, PVC construction. 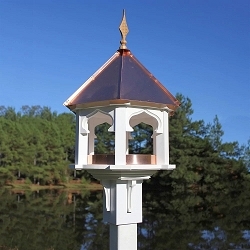 Hanging gazebo hopper style bird feeder with beautiful patina copper roof and plenty of perching room. 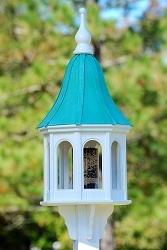 Clear Plexiglas sides for easy viewing of seed levels. 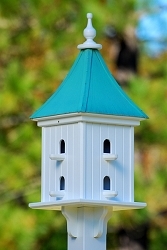 The roof is removable for easy cleaning. 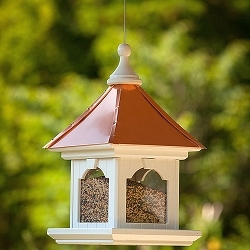 Steel cable for hanging is attached to the bird feeder. 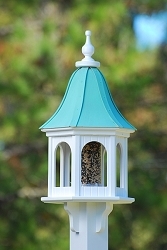 Finial lifts so you can fill with bird seed. 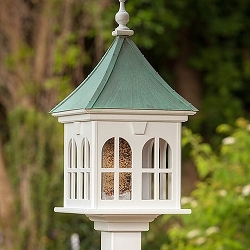 Drainage holes in base and seed tray. 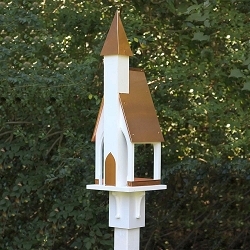 Seed capacity around 8 lbs.